PDF to html5 flipbook converters are a cutting-edge technology that allows users to convert their customized PDF files into stylish online PDF flipping books. This technique takes a couple of minutes to complete the process. You can turn any PDF documents or publications into page turning magazine and e-books. Besides writings, you can also add video, audio and hyperlinks to the turning page and build inspiring effects. Designed to improve the product layout as well as standard product images, this new technique allows users to build stunning content, include portfolios, digital magazines and product catalogs with flipping page effects and user friendly controls. Added functionalities allow inserting texts, images, links and video files. Though people use PDF to HTML5 flipbook converting software, they are concerned about the supported devices and browsers. But don’t worry, flipbooks are fully responsive. The HTML5 flipbook converstion software supports multiple devices and resolutions, such as Apple and Android phones, Mac, PC, etc. The flip books can be shared on all social media sites like Facebook, Twitter, etc. Flipbooks require no download, only what the user reads is being streamed. This saves data! Where can I get those features? With these features and functionalities in mind, it is worth noting that the PDF to html5 flipbook conversion is FREE! There are many HTML5 flipbook converters that convert your PDF to a HTML5 flipbook free of cost. Many software developing companies are promoting advanced versions of this technology to choose from. This is just one of many free services. 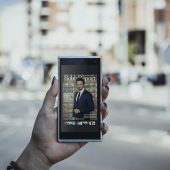 You can use any other service aswell (Issuu.com, Publitas.com, etc.). Then drag your PDF into the upload box on the starting page. This will start the upload process. When the upload process is finished, create an account and confirm your email address. Now log-in and go to “My magazines”. As the final step, you can generate an embed code and insert it on your website. To do that, open your magazine and click on “Embed”. Now choose “Advanced” and configure your embed. After that you can copy the generated code and insert it into your website. Done! So should I convert my PDF to a HTML5 flipbook? More people choose to read e-books, online magazines and newspapers, these days, thanks to the advanced technology of HTML5 flipbooks. It removed the hard task of scrolling down for the next pages of content, while making reading very easy and almost like a real life experience. Many online publishing companies and business owners use this incredible software to appeal to their customers and improve sales. 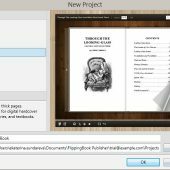 With this software, readers can flip pages instantly, instead of first downloading a big PDF file. You can turn your typical PDF files into stylish flipping books and upload them on your site for free. You don’t even need to have the flash player to use this, as it is HTML5 ready. You must do a thorough research on reputed options and consider what you actually want to do with the software. Your requirements will determine the right software you want to use. 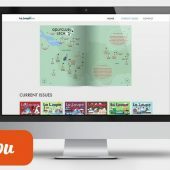 Ask your friends and colleagues if they have recently discovered a reliable HTML5 flipbook online tool.